An essential part of growing your website’s audience involves finding an effective way to convert your visitors into email subscribers or social media followers, as well as making it easy for them to share your content with their followers. Thankfully for WordPress users there are countless plugins out there which enable you to do this, with the Optin Forms plugin that we looked at recently being a great way of adding signup forms to your posts and pages. However, it’s also important to build your social media following and make it as easy as possible for your readers to share your content with their followers. So with that in mind, in this post we will take a look at the best option for adding social share buttons to your website. I was looking for a social media sharing plugin for WordPress recently and after trying out many of the most popular options, as well as some of the lesser known free and premium options, I was still no closer to finding the perfect plugin that would add attractive, configurable, and easy to use social sharing buttons to my website. That is until I stumbled upon the suite of free tools from Sumo and the AppSumo team. As you can see this is a relatively feature rich free social sharing plugin for WordPress making it a good choice for someone looking for a flexible option. You can find out more about each of these options on the Sumo website. 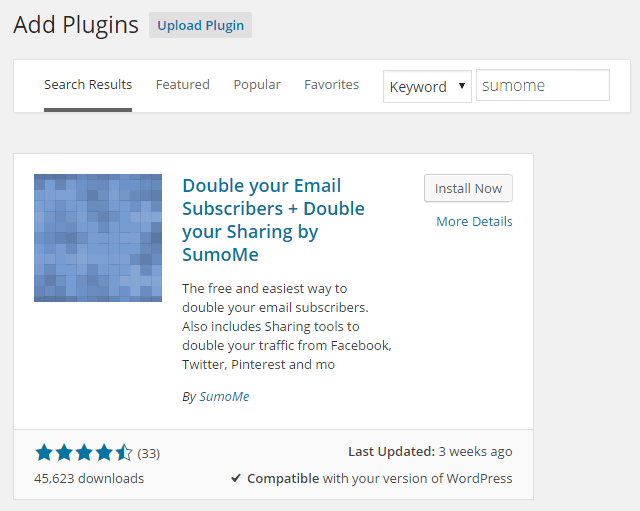 The traffic growing tools from Sumo actually work on any type of website, but there is a handy free WordPress plugin available which makes the setup process super easy. Once you’ve installed the plugin by searching for it from inside your admin dashboard (Plugins > Add New) a new item is added to the admin menu sidebar on the dashboard of your website titled Sumo. There isn’t much to do on this plugin page apart from click the Get new site ID button. Once you’ve done that you can configure the plugin and decide which modules you would like to add to your site. This is done from the front end of your website, so click on the Visit Site link in the top left corner of the dashboard. 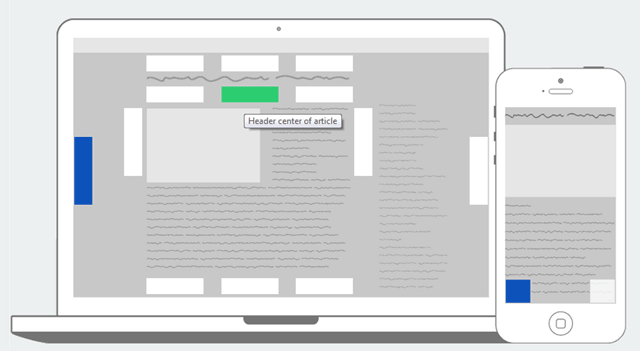 From the homepage of your site you will now see an icon on the top right corner. After hovering the mouse cursor over it to display the menu, click on the Crown apps icon. As we mentioned there is a good selection of tools available from Sumo which you can install at this point, but for now we are focusing on the Share option, so click on the Sumo Store button and locate the Share app and activate it on your site. 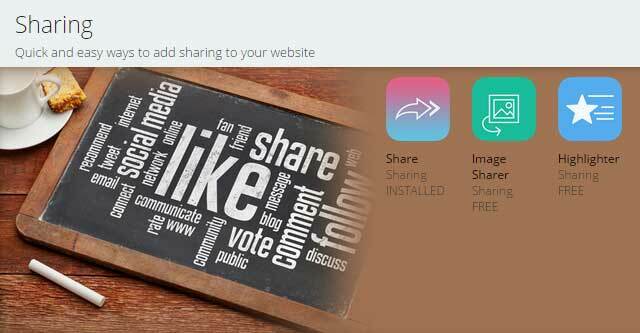 Once the Share tool is activated you can then decide where to display these buttons on your site, and also which social networks or services to include. Personally I like the left of page position as the buttons are always on display and they don’t interfere with your post content or page layout. However, you can experiment and decide which one is the best match for your website. While most of the tools available from Sumo are free, there is one slight catch. If you don’t want to display the Sumo logo to your visitors then you have to pay a one-time fee of $10 to remove it. The logo isn’t very noticeable, but it probably isn’t ideal for a professional website. However, if you are using one of more of these tools and are running a website that generates revenue in the form of sales, advertisements, or new clients, the $10 is a small price to pay for what you get. If you are looking for a great way to encourage your readers to share your content with their followers now you have a good option to use that will easily add attractive share buttons to your website in a number of locations. Hopefully you can now save yourself the time and effort involved in installing and testing the many options out there by instead going with a tried and tested option. If you have any questions about this social sharing plugin or have a recommendations of a better option then please leave a comment below.